It helps you to win. 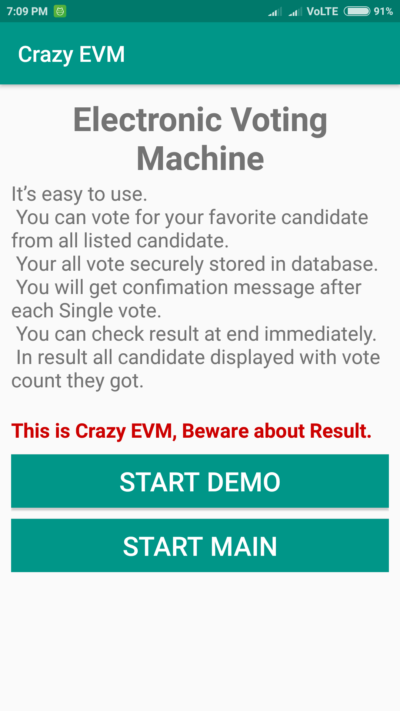 You will get idea how EVM (Electronic Voting Machine) works. 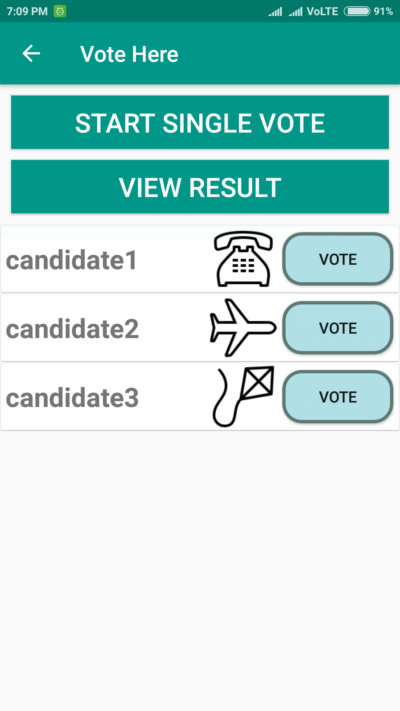 You can vote for your favorite candidate from listed candidates. 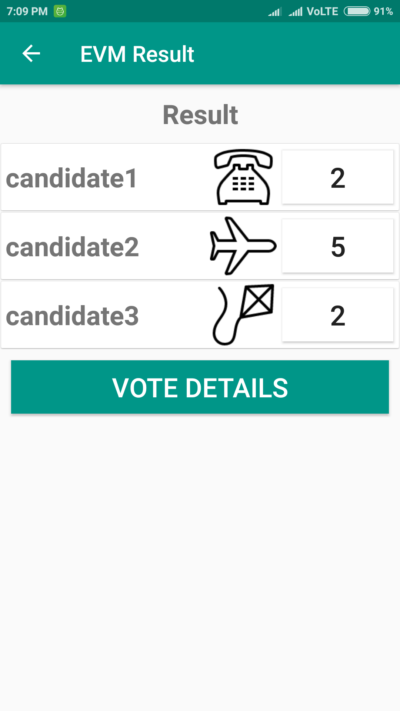 You will get confirmation (visual + audio) message after each single vote. 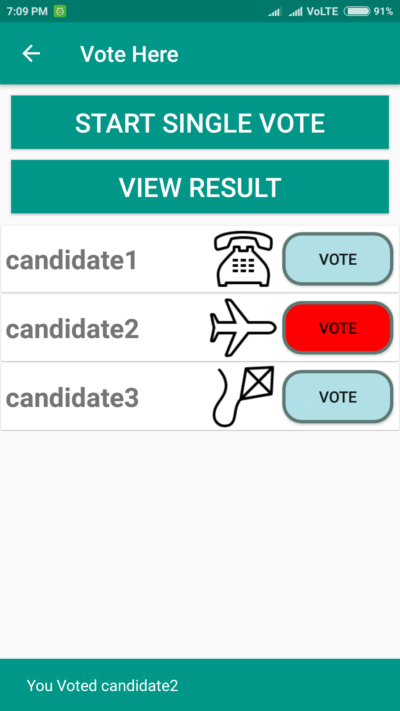 Your all votes are securely stored in database. 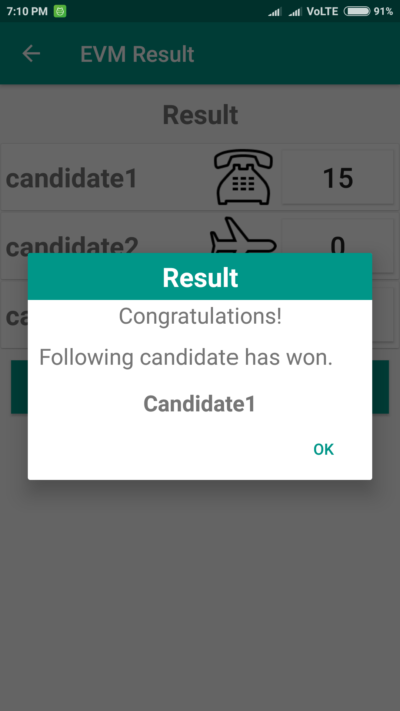 You can check result immediately at the end. 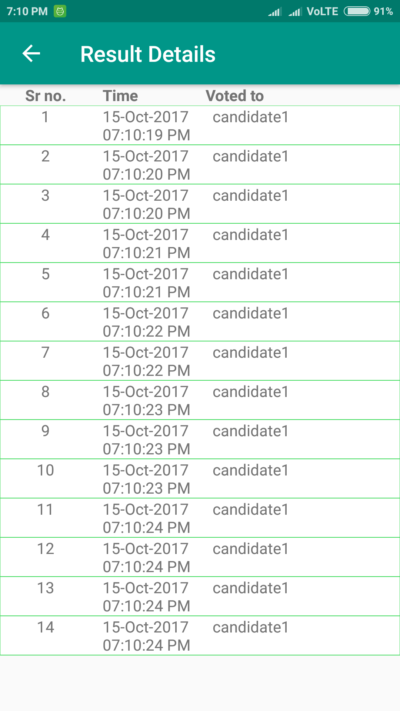 In result all candidate displayed with vote count they got. 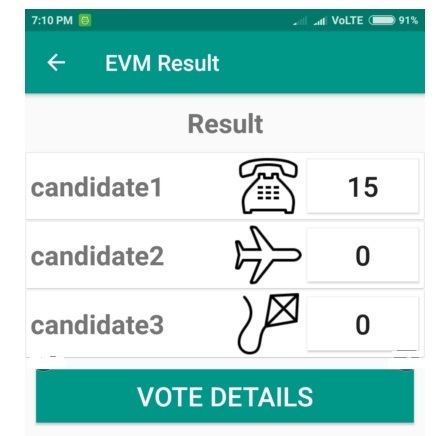 This is crazy EVM, so beware you may get unexpected result. 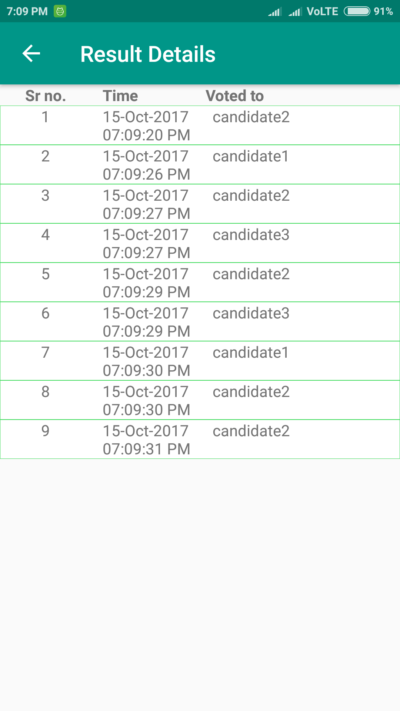 Below are screenshot of app. All vote goes to Winning candidate. If you Like app share with your Friends.